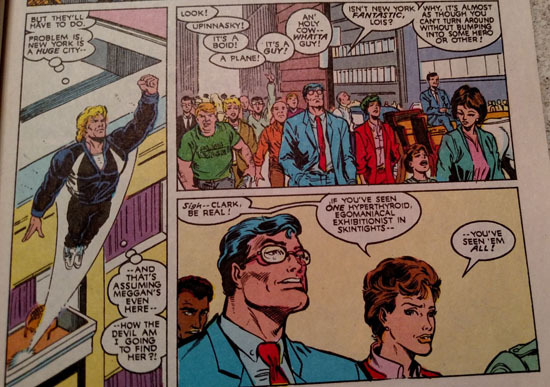 There is a Marvel Comics Company that exists inside the Marvel Comics Universe. 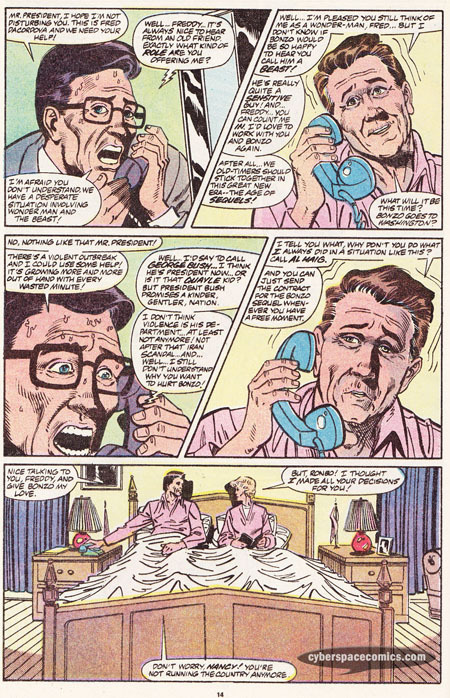 The company publishes comics based on the various super-heroes that exist in the M.U. 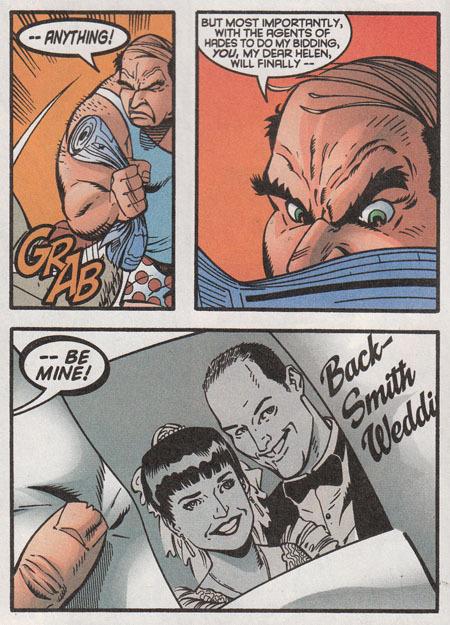 but, they don’t always get the details right (as noticed in the Marvels Comics one-shots from the late 1990s). 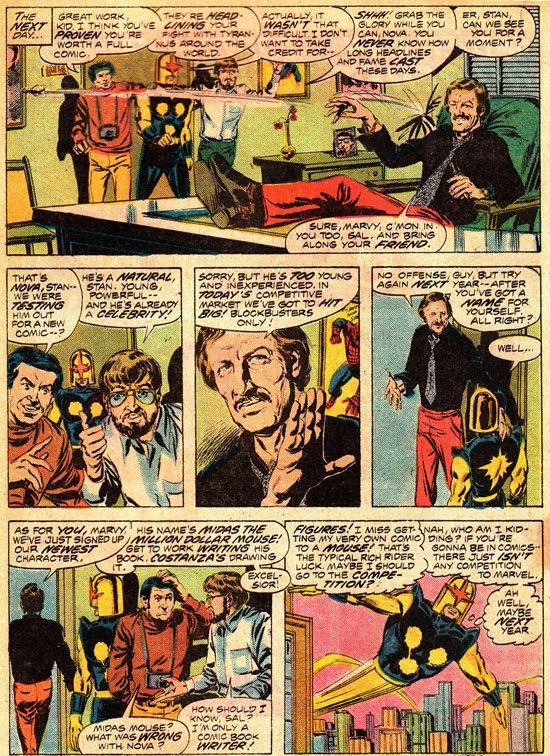 In Nova #5, Marv Wolfman & Sal Buscema pitch a Nova solo series to Stan Lee. 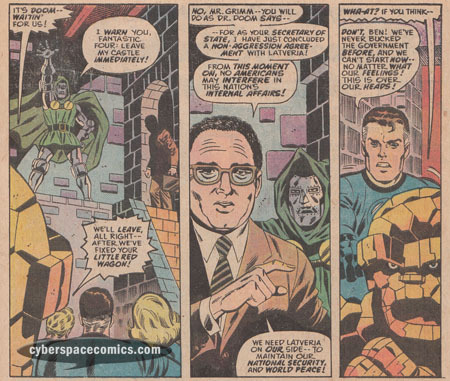 In Super-Villain Team-Up #6 (cover date: June 1976), the Fantastic Four’s assault on Doctor Doom is halted by an interesting twist: Henry Kissinger, the U.S. Secretary of State! The Phil Donahue Show was the very first to utilize the talk show format. It ran for 26 years and had a significant impact during its run. 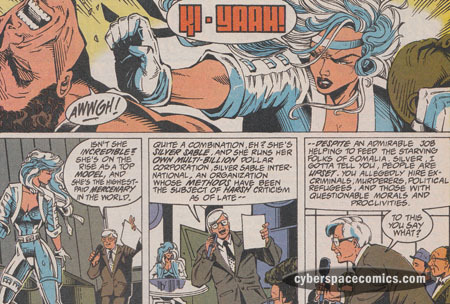 In Silver Sable #18, the lead character was featured on Donahue! 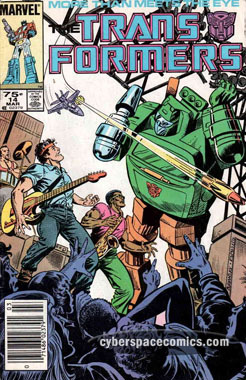 The cover of the Transformers #14 features a guitarist that looks like the Boss and a saxophonist that sure looks like Clarence Clemons. Now, inside the book, it turns out to be Brick Springhorn and the Tenth Avenue Band … but we know who they really are!